Appearance (0-20): The high primings look very similar to the classic line, except it sports a double band to signify the difference. The medium brown wrapper seems to be darker than the classic, while this could be from the different leaves that are used. Overall it was nice looking, yet nothing super catchy. 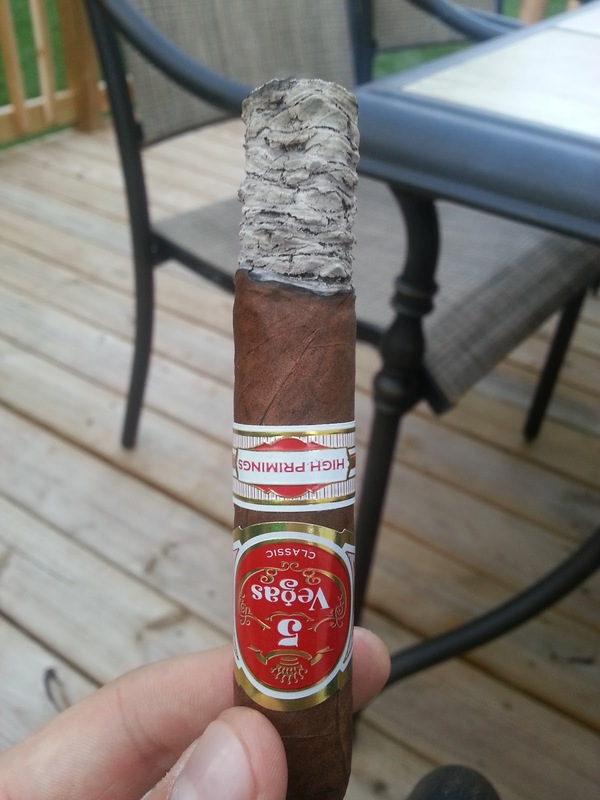 Construction (0-20): The cigar was rolled quite nicely, with no seams or soft spots. There was some tooth to the wrapper, which comes through on the light gray ash. The ash held on for close to 2 inches, while also yielding a nice easy draw. Strength (0-20): This smoke is in the medium range for me, and was listed as medium-full. They are pretty spot on with that assessment, depending on your nicotine tolerance. 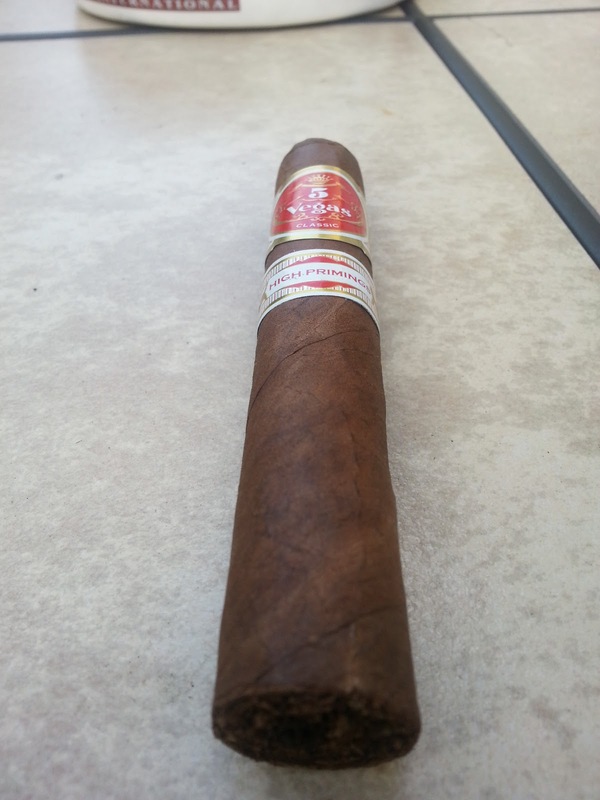 Flavor (0-20): The beginning of the cigar starts off with some nice spiciness; nothing overpowering, but a very nice blend of flavors. There are notes of vanilla sweetness and earthiness in the middle stages and some additional spice as you continue to smoke. Overall the flavors definitely boom more than the classic, yet it seemed that it could use more complexity. 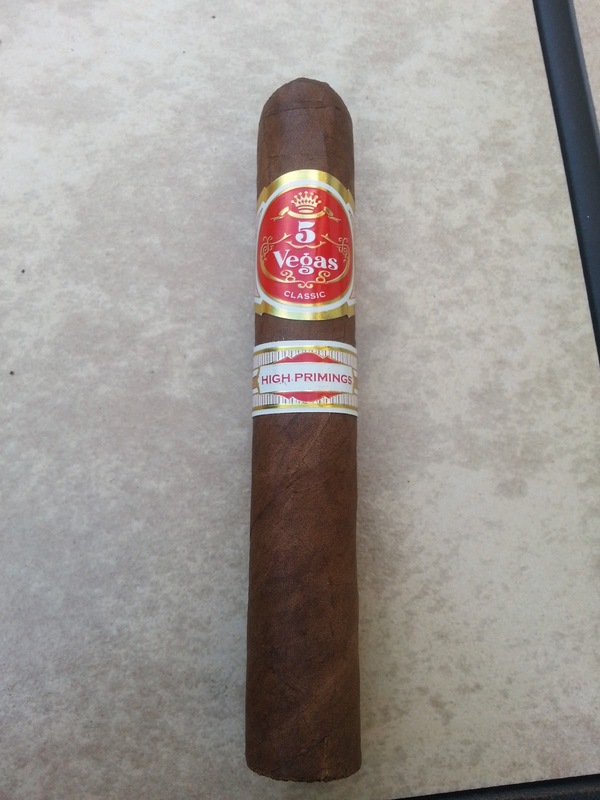 Value (0-20): Around $5.00, this stick provides some nice value. For a medium bodied smoke with ample flavor, it was well marketed. This is a great yard gar, 2nd smoke, or even first smoke to some. 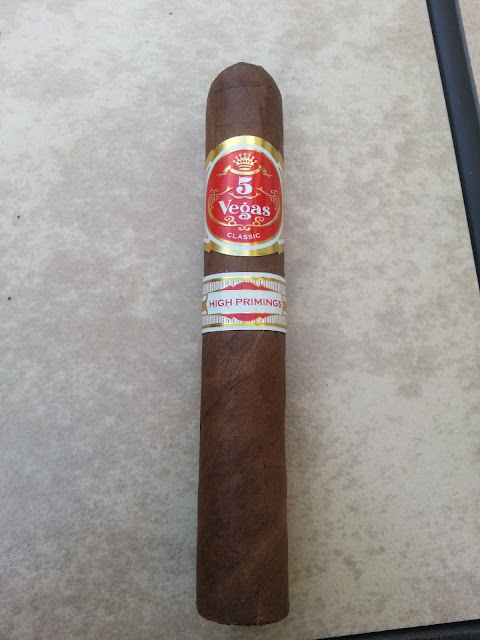 Overall (0-100): To me, the original 5 Vegas Classic was excellent, but the blend seems to have changed since then. The High Primings definitely has nice bold flavors present, while it would benefit to have some complexity. None the less, the cigar doesn’t fail in any one category for a $5.25 cigar. Happy smoking.